2018 was the year of the 115th anniversary of the birth of the world-renowned composer Aram Khachaturian. 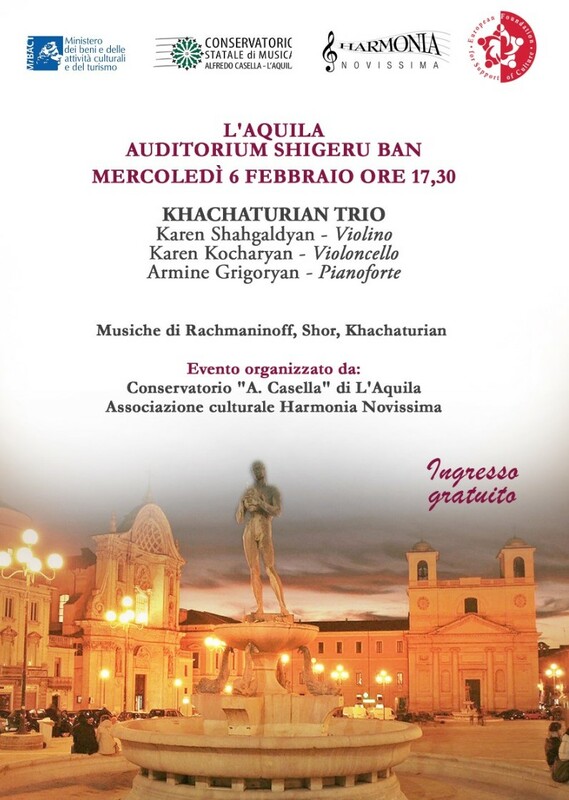 In 2019 the European Foundation for Support of culture together with the ArtEnsemble association (Italy) have organized a concert series performed by famous Armenian Trio Khachaturian in Italy to mark this memorable occasion. During the concert Tour Trio would perform most famous compositions by Aram Khachaturian as well as works by world-famous European Composers.